Spray a large non-stick frying pan with low-calorie cooking spray and place over a medium heat. Add the beef and cook for about 5 minutes or until browned, breaking up any lumps with the back of a wooden spoon. Drain off any fat then stir in the chopped tomatoes and bring to the boil over a high heat. Cover, reduce the heat to low and simmer for 15 minutes. Season to taste. Meanwhile, spray the aubergines with low-calorie cooking spray on both sides and season lightly. Place a non-stick griddle pan or frying pan over a high heat and, working in batches, cook the aubergines for 4 minutes or until charred. Turn, spray with more low-calorie cooking spray, season and cook for a further 2-3 minutes. 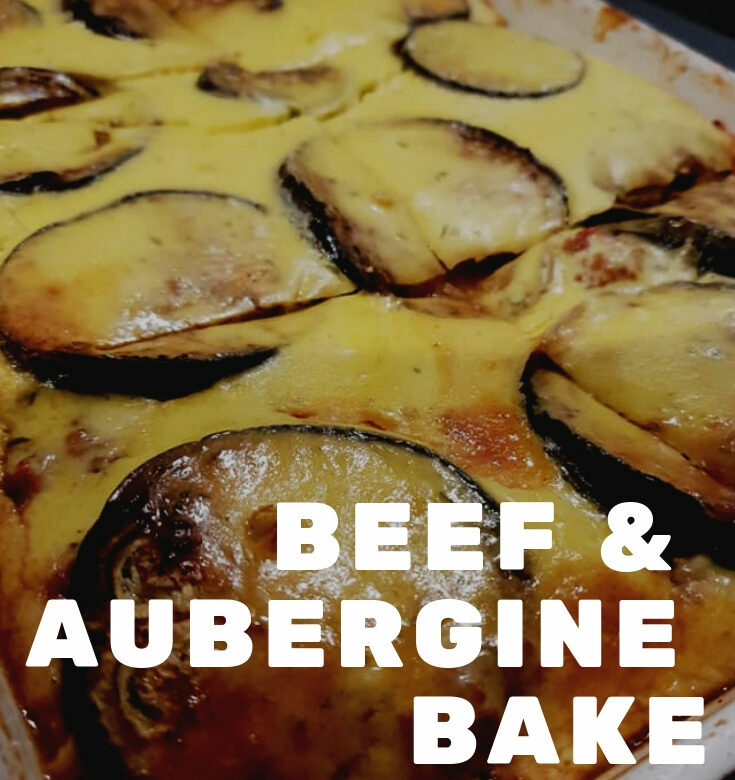 Add alternating layers of beef and aubergine to a 1.5-litre ovenproof dish, finishing with a layer of aubergines. Beat the soft cheese and eggs together, pour over the top and bake for 40 minutes or until golden.